RESCUE: Look at the sadness in his eyes. This is consistent with nearly all of these ex Roodewal breeding dogs we have seen. So sad as Schnauzers should be full of life and happiness. It boggles my mind that some people CHOOSE to use another beings suffering for financial gain. Nice Article. Well done to the Sandton and Highveld Ridge SPCA's! Schnauzers all over the world salute you! Our colleagues from Highveld Ridge SPCA recently seized 76 Schnauzers from Roodewal Kennels in Ermelo after a raid on the breeders premises. The dogs were found in appalling conditions, lived in wire cages and slept in rat infested holding areas. The kennels were found to be filthy and some of the dogs were sleeping in their own faeces. While being kept as breeding machines the dogs were found to have many ailments and illnesses due to the lack of care, typical of a puppy mill. Schnauzer friends South Africa assisted the SPCA in identifying this horrific situation. The reality is that every year, retail pet stores across South Africa sell thousands of dogs, while millions of dogs enter shelters across South Africa. Last week 20 of the rescued dogs ranging from 4 months to 2 years were transferred to the Sandton SPCA in the hopes of finding loving homes. 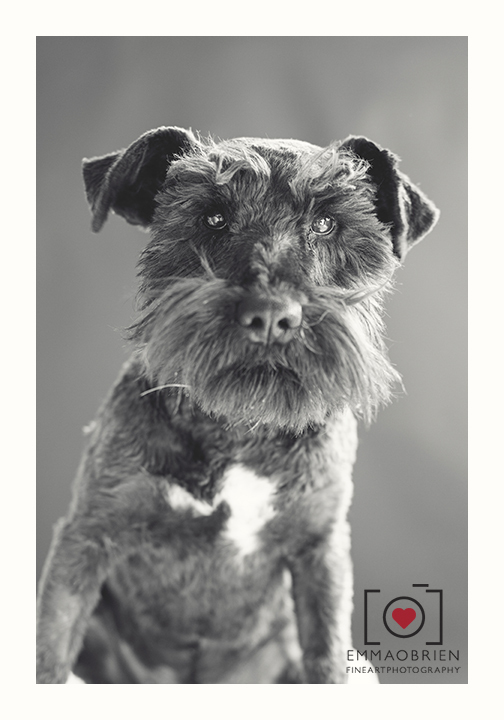 We immediately invited our patron photographer, Emma O’Brien, to come and photograph the dogs and give them the best chance they could possibly have in show casing their individual quirks and personalities to potential adopters. Below is a selection of the photos taken. We are happy to report that within a week we have had a hugely positive response from our community and many of the dogs have been booked and will be going home shortly after their very strict home checks are completed. We are confident they will all be placed in loving homes very soon. The SPCA as a movement is foremost about the prevention of cruelty and in cases like these, working together with the public and other groups to bring puppy mills to book is an important part of what we do. The SPCA is against breeding as the knock on effect of limited or no regulations or enforcement in the industry is the reason why our shelters are so full of unwanted animals. We urge you to help us spread the word and encourage everyone you know not to shop but to adopt, there are some really special, loving animals waiting for homes at your nearest SPCA or animal shelter. We would like to thank Emma O’Brien for taking time to come and help us highlight the story of these rescued dogs. Can anyone help in locating Elmarie Cilliers the owner of Roodewal Kennels. She has disappeared off social media and is not answering emails, phone calls, sms's etc. We would love to hear her side of the story after the SPCA confiscated over 70 breeding schnauzers from her farm under the Animal Protection Act. The Beeld newspaper is also trying to contact her to get her side of the story. The many Roodewal contract breeders who now have puppies ready and nowhere to sell them and expenses to pay are also trying to find her. So strange as she used to be all over the Internet, email, whatsapp, facebook, YouTube and just "poofff!" suddenly gone? 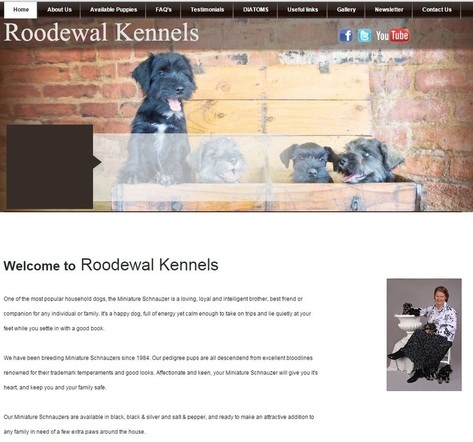 Here is a picture of the Roodewal Kennels Website which has recently been taken down.